The box will be filled with samples from brands like Reeses, Nestle Taster’s Choice, Secret, McCormick Grill Mates, Dove Chocolate and more. You need to complete a short survey to see if you qualify, boxes will be arriving in our mailboxes early May. Thanks goes to Deal Wise Mommy for sharing this new program with me! I received my sample showcase box in the mail today!!!! yippee!!!! my box had samples of aveeno shampoo and conditioner, grill mates steak marinade, shower to shower sport powder, ben gay heating pad, secret clinical strength, aveeno body lotion, shower to shower shimmer body powder, splenda, tasters choice original and vanilla, aveeno night cream, dove peanut butter chocolate bar, and coupons for splenda and aveeno…yayayay!! !what was in your box?? Mine said…….Are you interested in this Sample Showcase offer?Right now we are testing the program and no offers are available. If you would like to sign up for possible future program please sign up below. I qualified, but after submitting it, it gave me an error message. I tried it on my phone using the "prefer not to answer" choice for income and did not qualify. Using my desktop i chose "75,000-100,000" choice for income and did qualify. It allows you to fill the whole thing out, and then gives a server error…interesting…. Thank you!!!! The original link didn't work. The new updated one did, AND I qualified. THANK YOU!!! After lots of errors I finally got it work by pasting the link from comment #48. Thanks! Tried several times never even got to the survey before I was told that I did not qualify. Kristy at 1:16–your link worked for me! I'm looking forward to my box! this link worked for mehttp://mysampleshowcase.com/addQuickQuestions.iphtmlTHANK YOU KRISTY! The link that Kristy gave at the bottom of the page worked. I qualified! The link does not work even when pasted. It says the server was not found. Still can not get it to work even copy and pasting….what am I doing wrong? The link below worked for me!http://mysampleshowcase.com/addQuickQuestions.iphtmlHope that help! 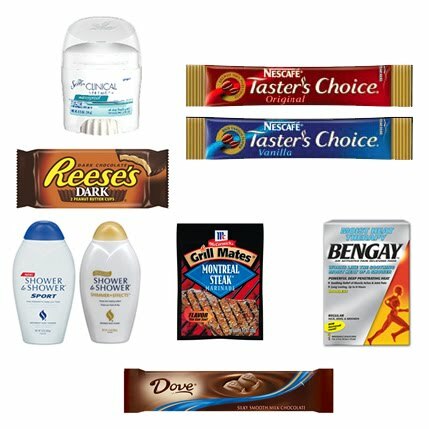 You can just go to https://secure.startsampling.com and sign up, I don't know if you will get the big box listed on here but there is a lot of samples listed there I have not seen and I never miss one. Still doesn't work even after copying and pasting all the links that were provided… this is the error i getThe requested URL /sm/101145/landing.iphtml was not found on this server. I tried and tried and the link didn't work for me either. The link didn't work for me nor did the copy & paste. What a bummer! The link did not work for me, but copy paste did, thanks! I qualified and got all the way to finishing the survey to see what is in the box and then got an error:This error (HTTP 404 Not Found) means that Internet Explorer was able to connect to the website, but the page you wanted was not found. It's possible that the webpage is temporarily unavailable. Alternatively, the website might have changed or removed the webpageSo now I don't know if we will get our box or not. 🙁 Thanks for the post though, it is a great offer. Link didn't work and copy and paste didn't work–bummer!! Still didn't work for me in FF or IE, thanks anyway! Thanks commenter #7 (Donna)! I copied and pasted your link, and I got to the page and I qualified!!! Looking forward to receiving my samples!! Thanks Freebies 4 Mom for posting this! click the link, when you get the error message, delete the part of the link that says referer and it will work. copy and past worked and i qualified! thanks! Yay! I qualified! Thanks so much! i was reading on forthemama's website, and she suggested to copy and paste and voila! the link worked for me. I qualified! Thanks again Heather! Link is not working for me either! Yea! Got it after copying and pasting in a new browser window. Looking forward to our box! What do you have to do to qualify? Is it income restricted or child age restricted? I don't get why I didn't qualify. I got an error message also! the links not working here is what it said: Not FoundThe requested URL /sm/101145/referer was not found on this server. Thanks! I am qualified and will be receiving the sample showcase!! Ugh, didn't qualify. What a bummer. Wonder what dem they're looking for? I qualified! Thanks a bunch! Wat income level did everyone that qualified use? Thanks for the link. I qualified and am looking forward to sampling! ~ Donna, thanks for helping out on the link. I qualified and can't wait to see what goodies we get in may! You can also click on the link and then delete /referer at the end and get there. Very grateful that I qualified! I didn't qualify. This is one of the times when it isn't a good thing to be a DINK. copy and paste https://secure.startsampling.com/sm/101145/into your browser. That worked for me! The link didn't work for me… got the message "The webpage cannot be found"